Molokini Crater is hands down one of the best dives out here in Hawaii. 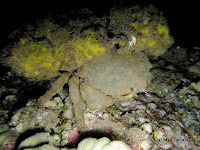 And it is big enough to several different dive sites since you can't explore the entire crater all in one dive. Its location has pros and cons. 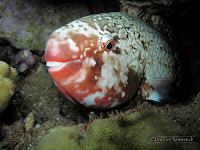 Being about four miles offshore it avoids runoff and suspended sediment that occasionally affects the shoreline of Maui and it is sometime subjected to pretty wild currents which seem to bring in the big fish like sharks. 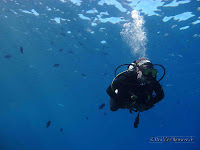 But being that far offshore you have to pay alot to go on a boat dive with one of the many scuba tour companies. Unless you feel up to the challenge! Heidi and I had this planned for days. We rented scuba tanks the night before, loaded the kayak on top of the car, and piled up all our snorkel and camera gear. The next morning we woke bright and early, drove to the kayak put in spot and started out on a beautiful calm day towards Molokini off in the distance. About an hour later after some serious paddling we came upon the crater and all the snorkel/dive tour boats. We snagged a mooring for our kayak, got our tanks on in the water, and descended into the clear blue water on the Enenue side of Molokini. This is where the rim of the crater descends into the water and quickly disappears into the blue. 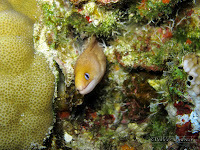 The fish life in this corner can be the best anywhere in the crater. 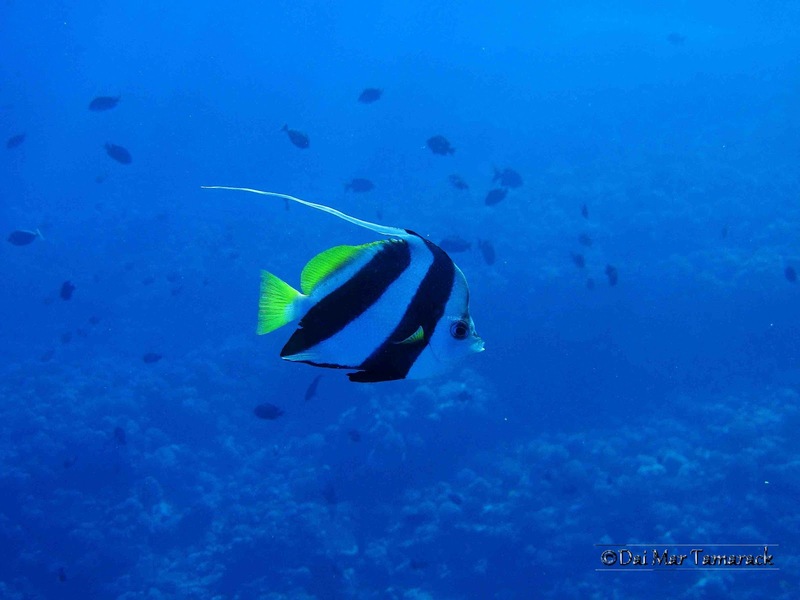 Big schools of butterfly fish, triggerfish, and damselfish. 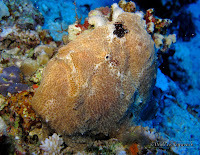 Soldierfish hovering under big rocks, and then Heidi spotted the biggest frogfish down around 120ft. 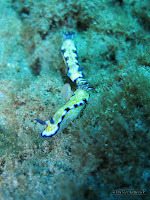 Shortly after we found this blue dragon nudibranch which must have been at least 8 inches long! 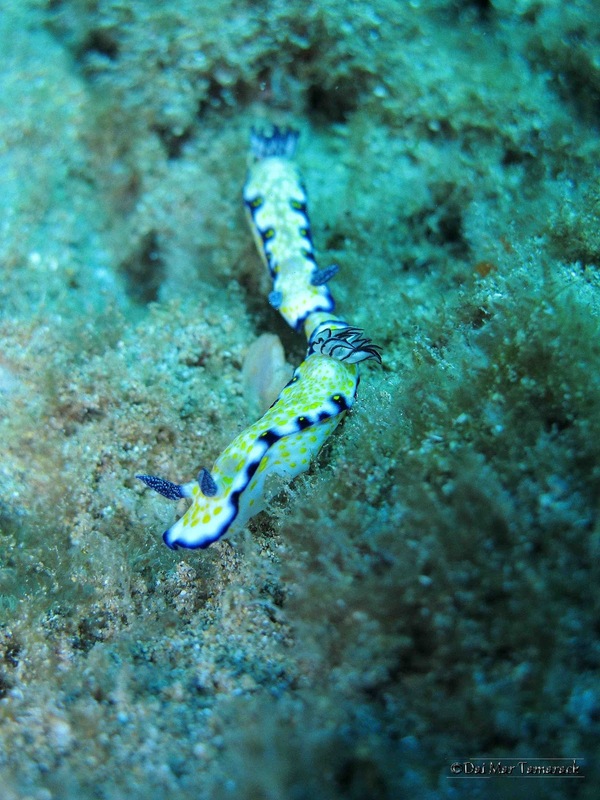 For some reason here on Maui we only find these nudibranchs out at Molokini. 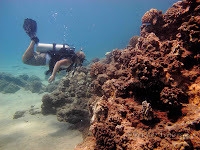 Molokini is a halfway point between the reef and the open ocean so you get a little more biodiversity there. Fish like this pennant butterflyfish and pyramid butterflyfish can be found here but not on shore dives from Maui that I have been on. 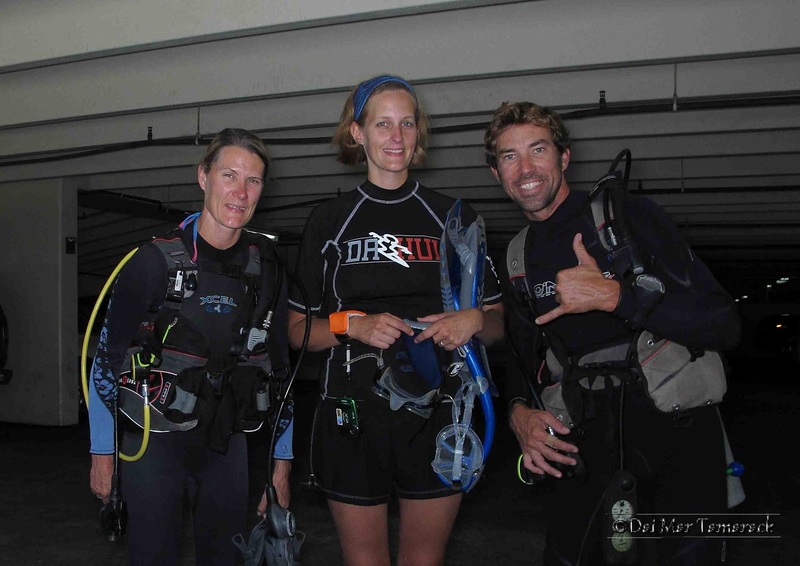 Getting some insider information Roxy and Julie got my contact info and sought me out to take them on a dive somewhere in Maui. 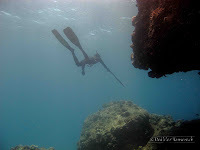 Roxy was certified while Julie wasn't, so I had to find a place where she could snorkel at the surface and still stay with us. I also wanted to go somewhere with great wildlife and near where they were staying, in Lahaina. So after discussing a couple of options we decided on Black Rock. 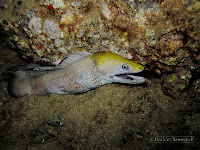 This has been a favorite dive site of mine on the west coast of Maui. On this day we got lucky, first with parking (which can be the big downside to this site), and with weather conditions. After snorkeling out to the point, past the cliff jumpers, Roxy and I said 'see ya later' to Julie and descended to the sandy floor. 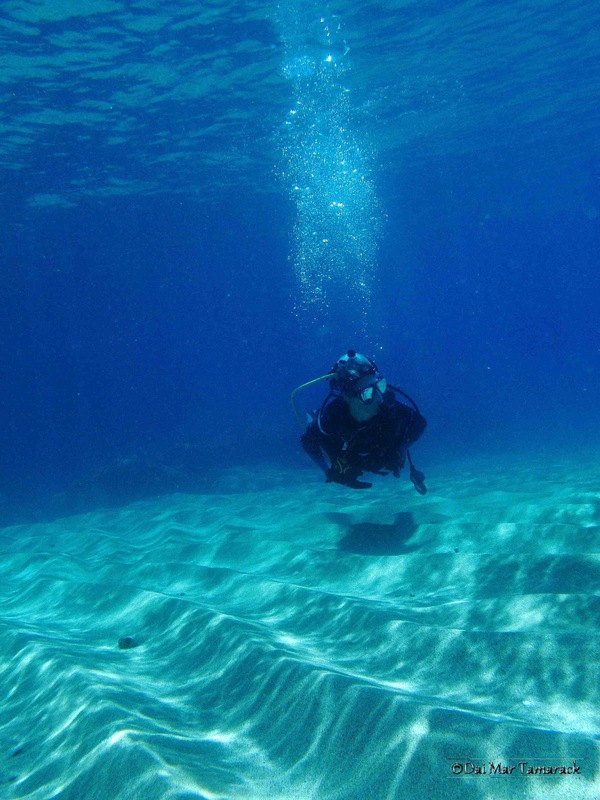 After a few minutes getting back in the feel and working on her buoyancy Roxy was back at it. And lucky for me the wildlife just kept showing up. The water was crystal clear as we had numerous sea turtle encounters, nudibranch sightings, and even some rarer creatures on our dive. We stayed under for exactly 1 hour before surfacing at airport beach, all the way around Black Rock. 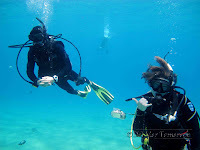 I think I will have to start looking into local experts taking me out diving when I go to different places now. 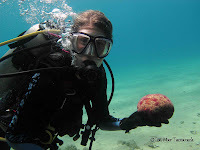 After the dive I busted out my ID books to go over all the amazing animals we encountered. 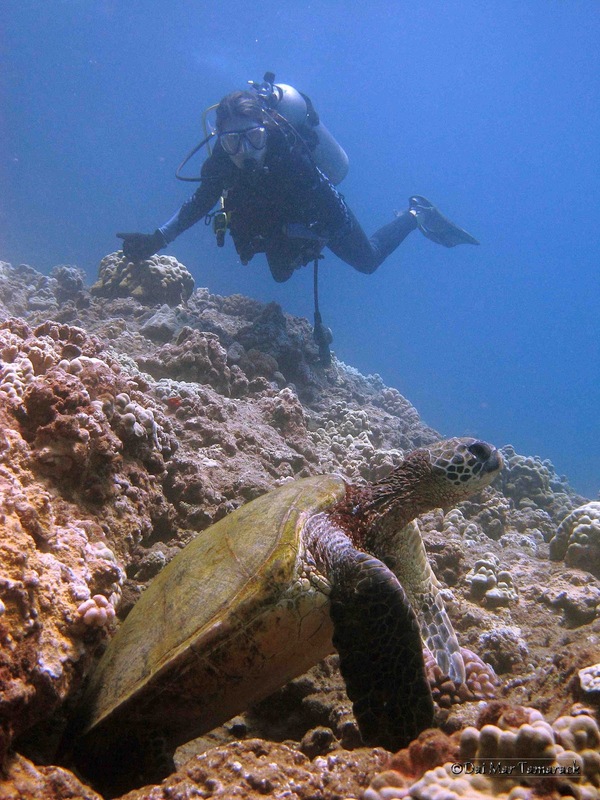 Scuba diving in Hawaii will allow you a chance to see some pretty amazing underwater creatures. 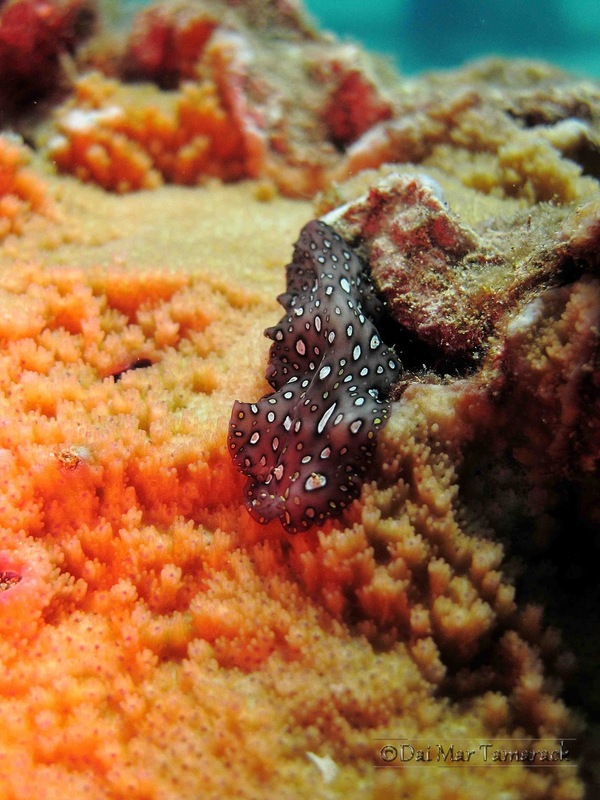 Scuba diving at night in Hawaii brings out such creatures that you would never have imagined. 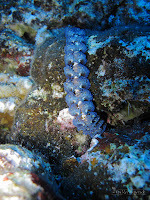 Long snake-like fish with razor sharp teeth haunt the cracks and crevices (moray eels), armored arthropods climb the reef carrying brightly colored sponges on their back (sponge crabs), voracious many-armed creatures emerge from the sand to walk about on tiny tube feet (sea stars), masters of camouflage ninja vanish in a dark cloud (octopus), and huge sea slugs fly above the reef undulating like a flowing shawl in a Spanish dance. Fish of the reef hunker down in hiding places for the night while the night denizens have their time. On this night dive at White Rock, Maui we saw all of this and more happening. 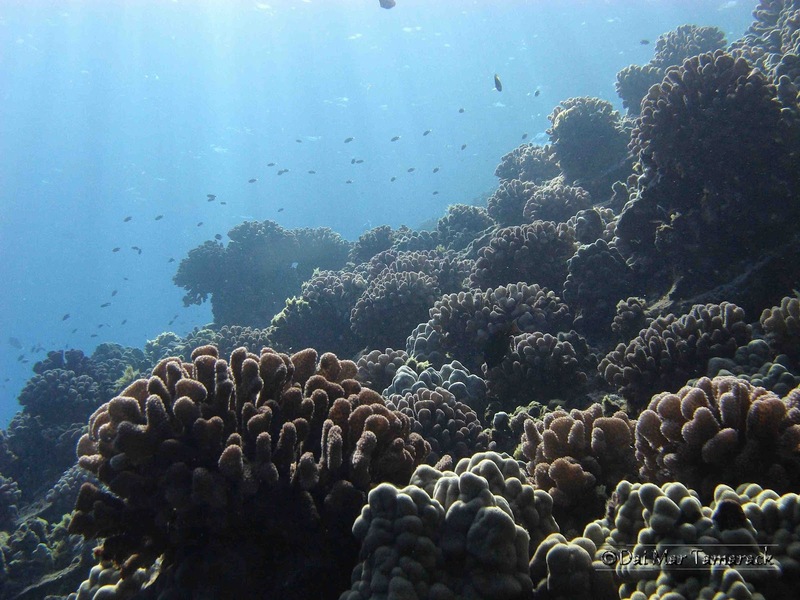 We finally had to turn back as we got low on air but it still amazes me how the reef and the sand comes alive at night. 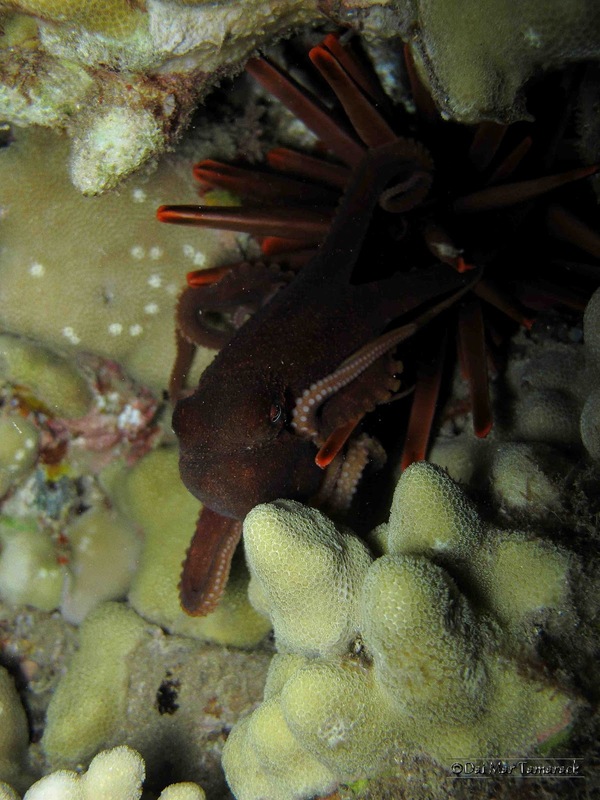 We saw octopus jetting away from moray eels on the hunt. 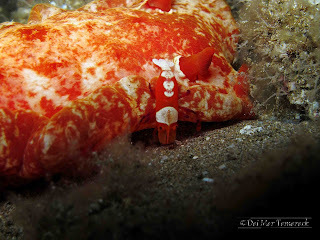 A new kind of nudibranch I had never seen before, Platydoris formosa, and more crabs and shrimp than we could count. 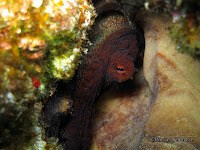 So few people get to experience the underwater world at night. 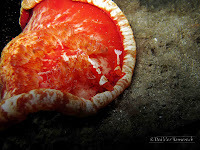 But if you are adventurous enough there is a world of wonders to be seen. One of the biggest shocks was finding commensal shrimp living on a nudibranch. 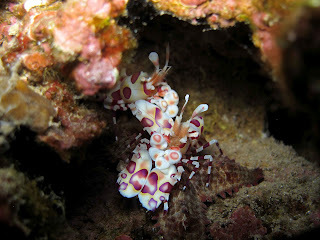 These two imperial shrimp were about the size of my pinky finger. 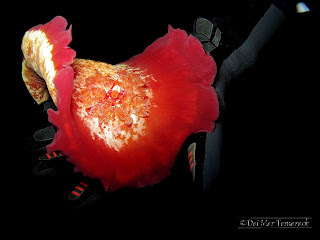 They would scurry around the body of the spanish dancer nudibranch and even hunker down in the frilly gills on its back. 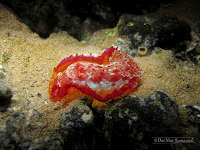 Even when the nudibranch takes flight the shrimp hold on tight and enjoy the ride. What wonders you might see if you travel where most others do not. 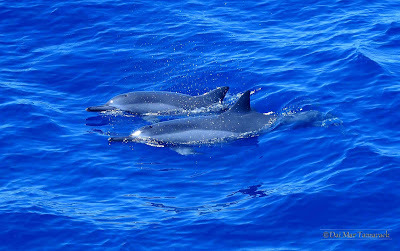 I have always heard about pilot whales, melon headed whales, false killer whales, and even sperm whales living in the deep offshore waters of Maui. I decided that it was something I would have to see for myself. It took a long time but I've finally found myself in a place to head out to these offshore waters about 30 miles off Maui over depths of 10,000 feet at times and it has paid off big time. 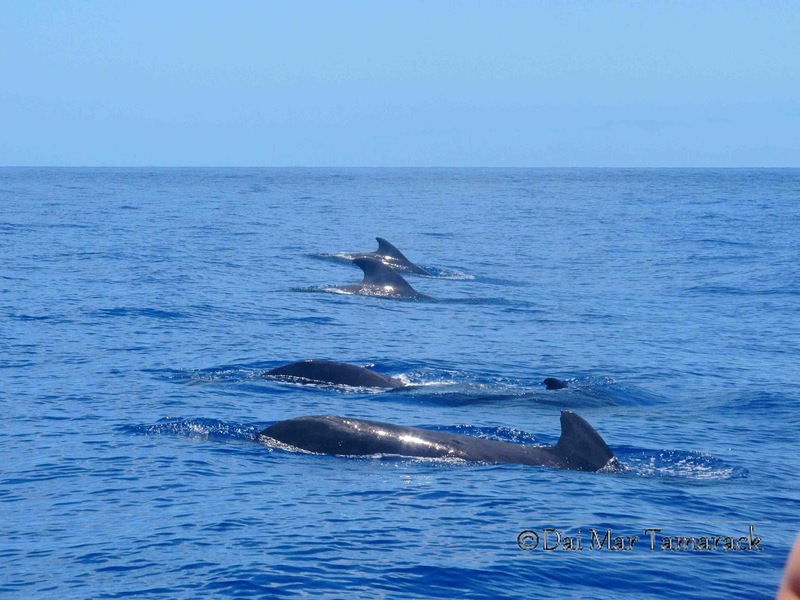 The past two times I have ventured out into these waters I've come across pods of short-fin pilot whales. 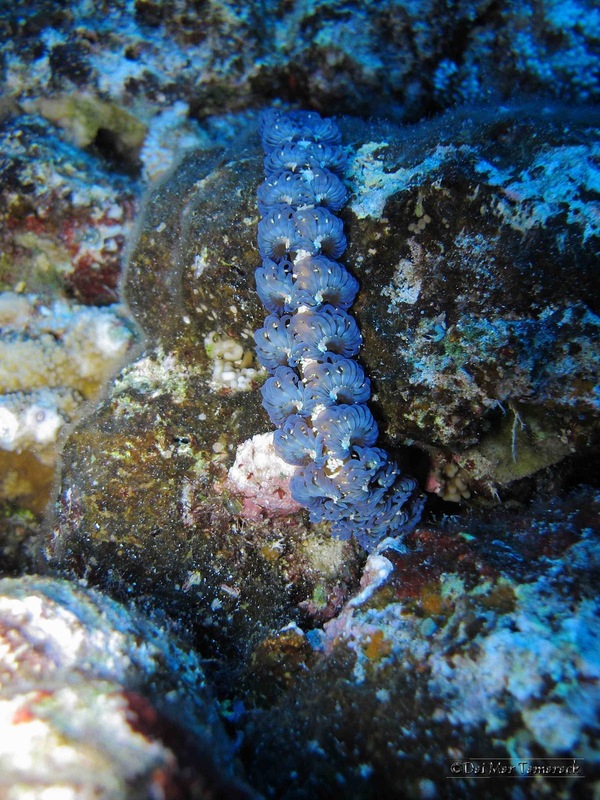 They only seem to live in deep waters. 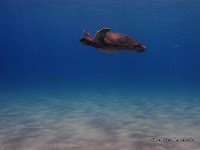 On the Big Island I have seen them just 2 miles offshore but still in 2,000+ ft of water. Here in Maui the surrounding islands/volcanoes are so close that they touch underwater forming a shallow plateau. Cetaceans like spinner dolphins and humpback whales love this shallow water while others like these pilot whales shun them for the deep. Thus they are hardly seen and even less researched. My two encounters have seemed to be with different pods. 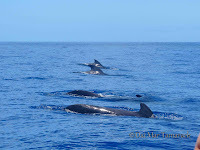 The first a huge pod of about 50 pilot whales and this second time a smaller pod of about 10. With the smaller pod it was easier to follow individuals. One of the 2 big males had very identifiable scarring on each side of the tail stalk and smaller scars all over its body. Two sets of mom/calf pairs were also present. The more pilot whale encounters we have the better our catalog will be and each resighting of an individual will provide a snap shot into its life history. 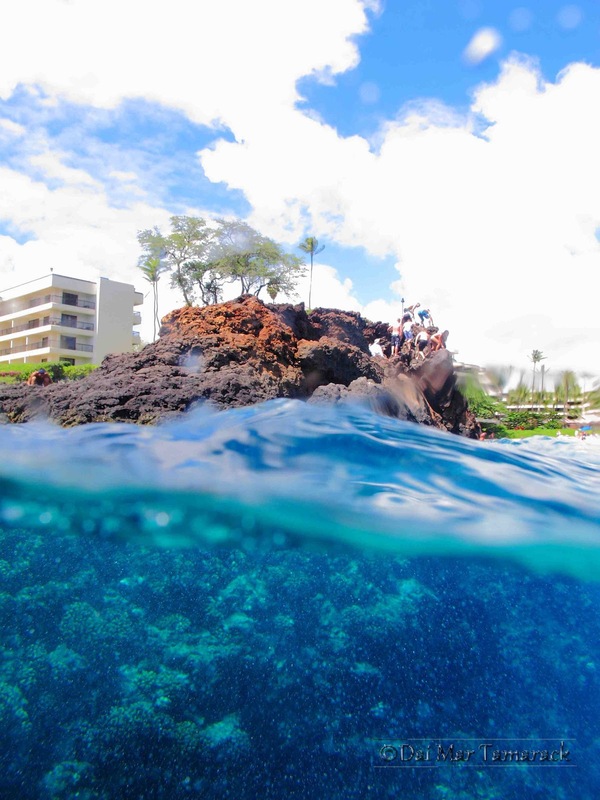 Today was a big west side day off here in Maui. 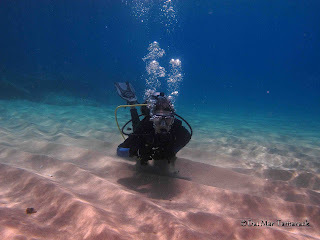 The waves were getting smaller and smaller which made surfing tough but created perfect conditions for diving. 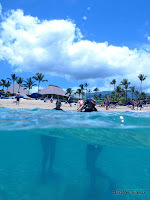 We had hot and sunny conditions at Black Rock in Ka'anapali. 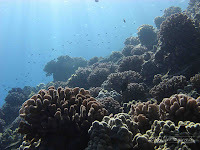 This is my favorite dive site on the west coast of Maui. Even though the last time I dove here was only a week ago I saw totally different things today. Thomas Shelby, Ben Eisenstein, Alana Yurkanin, and I hit the clear water behind the Sheraton on the south side of Black Rock. 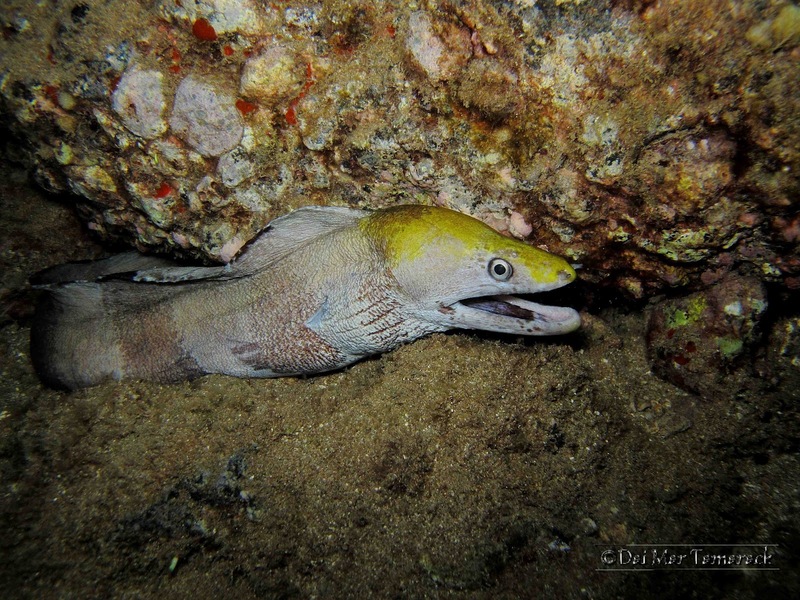 There was a little current, a lot of moray eels, and even a few rare sightings on this dive. 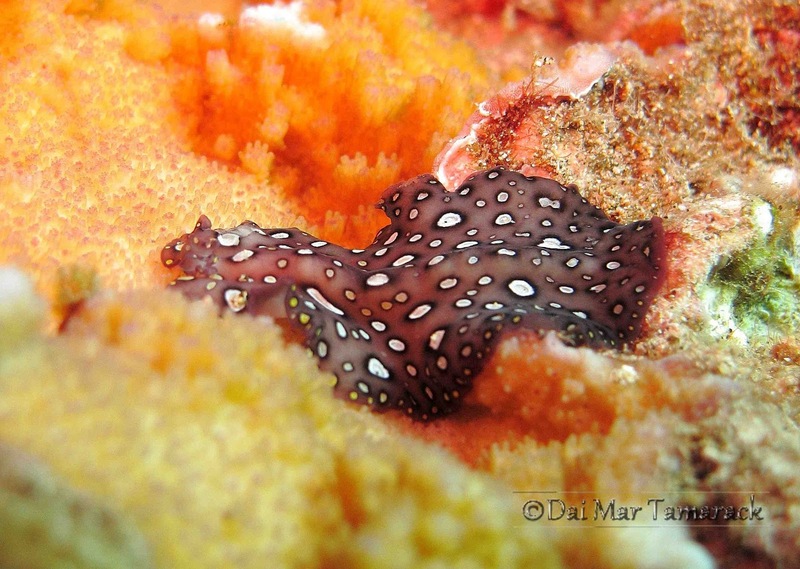 The rarest of which was this Hawaiian spotted flatworm. Known only from the Hawaiian islands this flatworm usually is only seen at night. I had never seen one before. 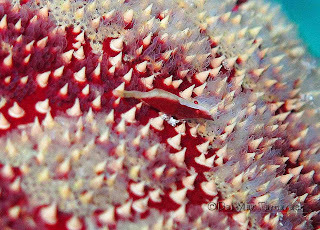 Something that I always look for, often find, but have failed to get a good picture of are the tiny commensal shrimp that live on pin cushion sea stars. 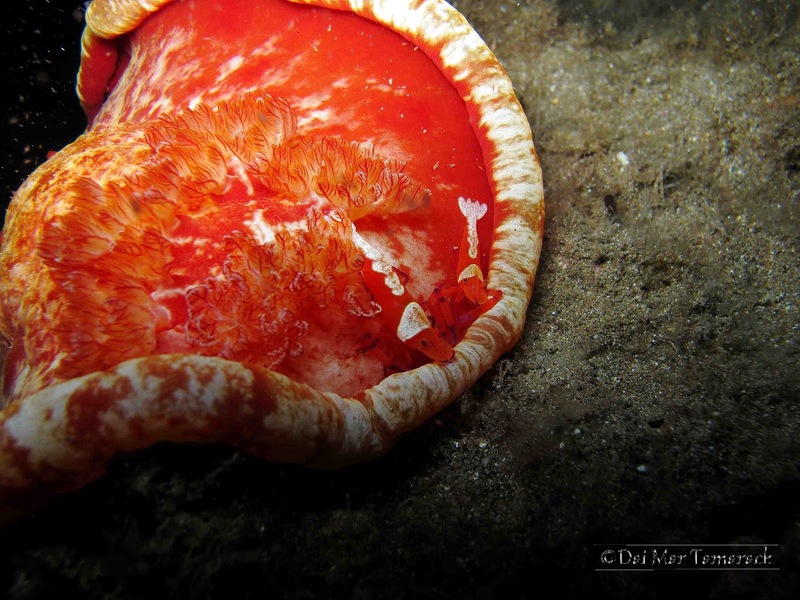 I found a purple red star with a dark red and white striped shrimp on it and got an ok picture. The shrimp is so tiny I will need a better lens to capture it fully. 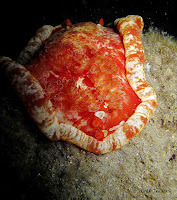 It is neat to get a close up view of the surface of the pin cushion sea star. Another big find and one of the first things we saw on this dive was a leaf scorpionfish. They wave in the current looking like a leaf. The body is so flattened that it is easy to miss these guys. 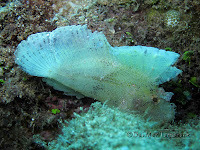 I have only seen a handful but all different colors; purple, black, yellow, green, and this almost translucent one. 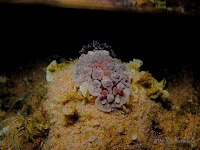 Always on the lookout for nudibranchs I couldn't help but stop and take pictures of some of our more common nudibranchs the white margin and the imperial. 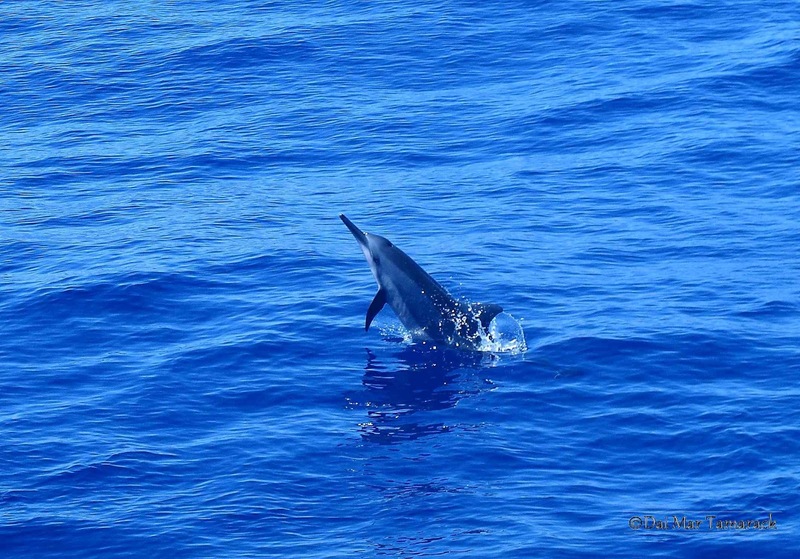 Known for their acrobatic displays the spinner dolphin, (Stenella longirostris) is a year round resident of our coastal Maui waters. 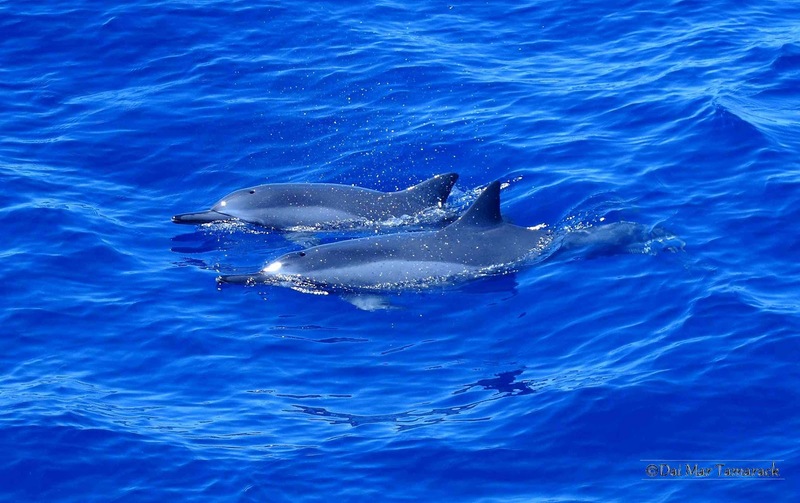 They frequent shallow sandy bays during the day to rest, making them the most commonly encountered dolphins on our Pacific Whale Foundation eco-cruises. Some days you can find a pod over a hundred dolphins strong and coupled with calm, sunny conditions it can be great for photographing. Still, these are marine mammals only spending a fraction of their time near the surface so snapping that perfect photograph can be quite the challenge. I think that is one of the really rewarding things about wildlife photography. 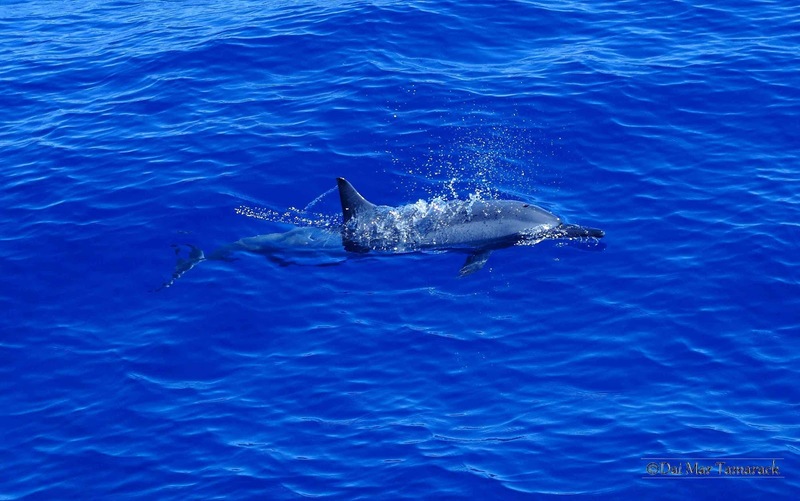 The spinner dolphins are one of the smaller species that we find, often weighing less that a full grown human. What they lack in size they make up for in aerial flips, twists, and spins. Our research is looking into what purpose these acrobatics might have. The leading theory now is for communication. The splash sending a sound wave which can be some kind of decision point for the pod. 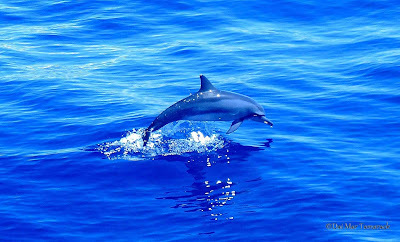 Another theory is that these dolphins may spin to try and rid themselves of parasites or maybe even just for fun. Either way they are great fun to watch. 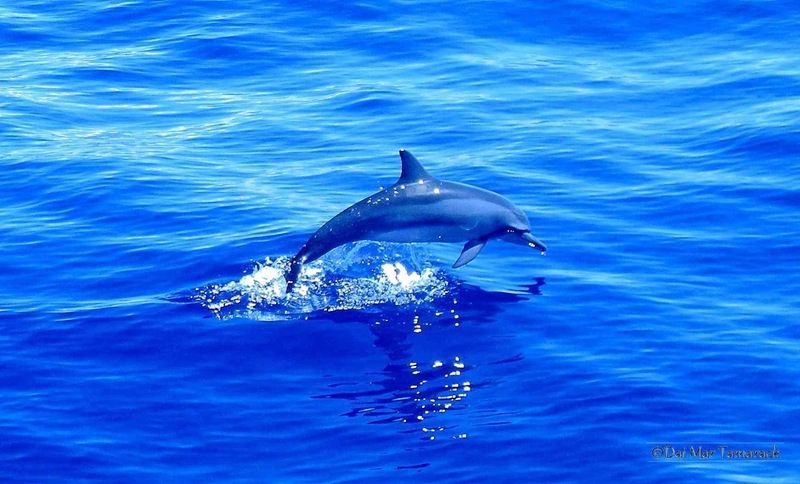 Finding these dolphins out in the wild is also the only way you will see this species. They need the social atmosphere of a large pod and have never done well in captivity. 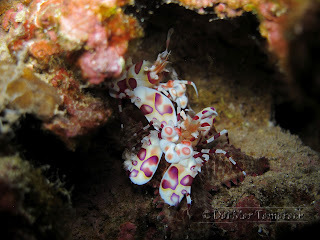 These Harlequin Shrimp, (Hymenocera picta) are something I had been searching for ever since seeing a picture of them on the cover of our Hawaiian invertebrate book. They are so beautiful and quite rare. 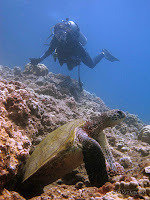 It has taken me well over 40 dives to find them out here in Hawaii. Unfortunately they are heavily collected for the aquarium trade and the Hawaiian ones are more highly prized being rarer than the Indo and African varieties. 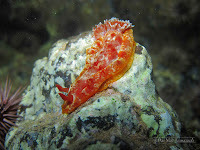 Once encountered they can often be spotted around the same location for months or even years. But just so these two are caught up and captured for some salt water aquarium I will keep their location confidential. 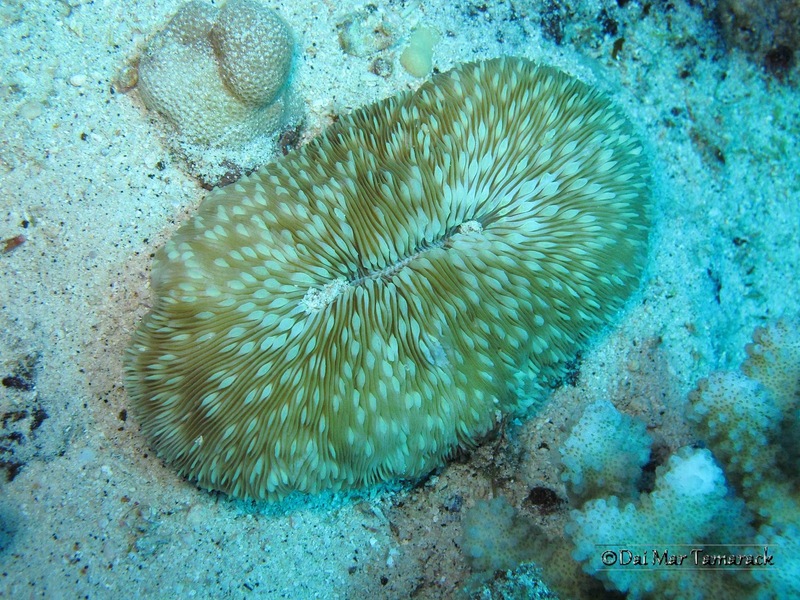 They feed on the tube feet of echinoderms like sea stars. 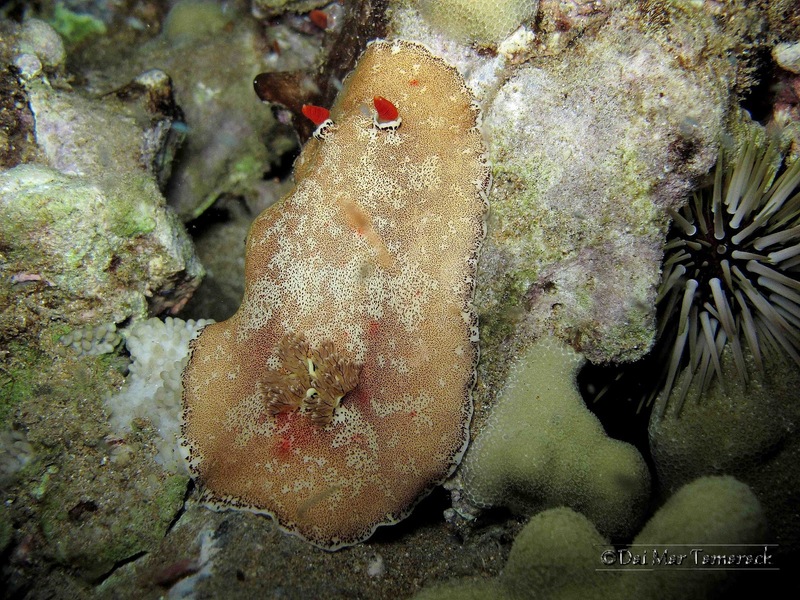 And if you look closely you can see that this pair has found and is feasting on a sea star. 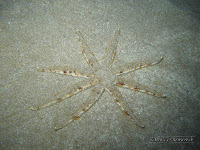 They start at the tip of an arm and slowly move in. They can feed on one star for up to a week. 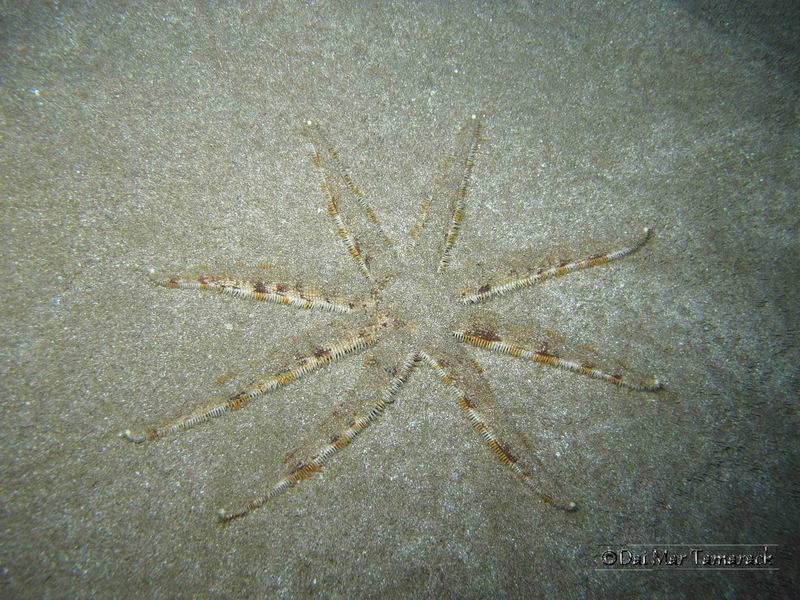 However some sea stars have been seen to escape by detaching the arm being fed on and leave it behind. 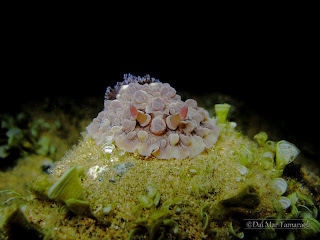 It always amazes me what can be found in the little pools in the rocks that form when the tide goes out. 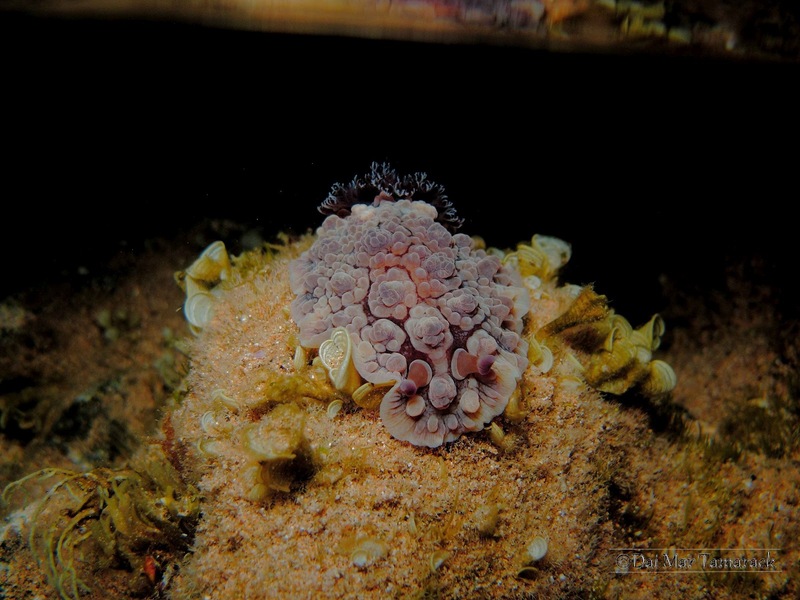 These tidepools can be treasure troves of all sorts of rare and unusual sea creatures. I have seen juvenile octopus, moray eels, and cleaner shrimp at night in tidepools. But the real reason I am always checking for low tides shortly after sunset is to find nudibranchs! Heidi and I have seen nudibranchs in tidepools that we have never seen snorkeling or scuba diving. And to think, people walk right by these pools all the time, not realizing what might be lurking nearby. This nights foray into some of our favorite tidepools was incredible. My nudibranch hunting partner Heidi and I didn't have really high hopes since the tide was not a very low tide, but all that changed when she shouted she found something. 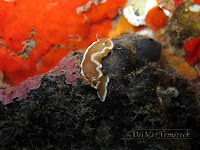 We first thought it was a tuberculos nudibranch (Dendrodoris tuberculosa) but when we identified it later using www.seaslugsofhawaii.com we found it was a (Dendrodoris carbunculosa). 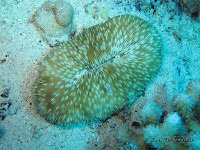 These species are very similar both having tubercles all over their body. Heidi was on fire this night as she also spotted this juvenile red-margin spanish dancer nudibranch in one of the last tide pools we came to. We even got a shot of the nudibranch just as it unfurled and showed off where it gets the name red-margin from. 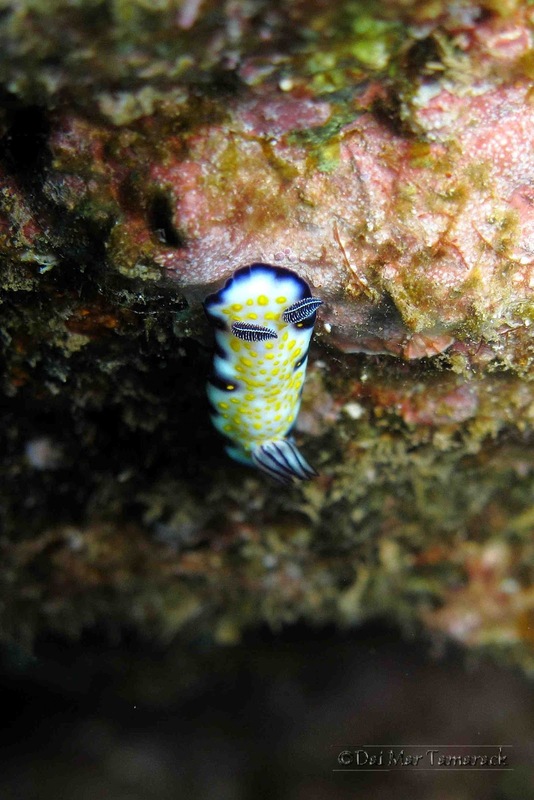 Two great finds to fuel the never-ending search for more nudibranchs.